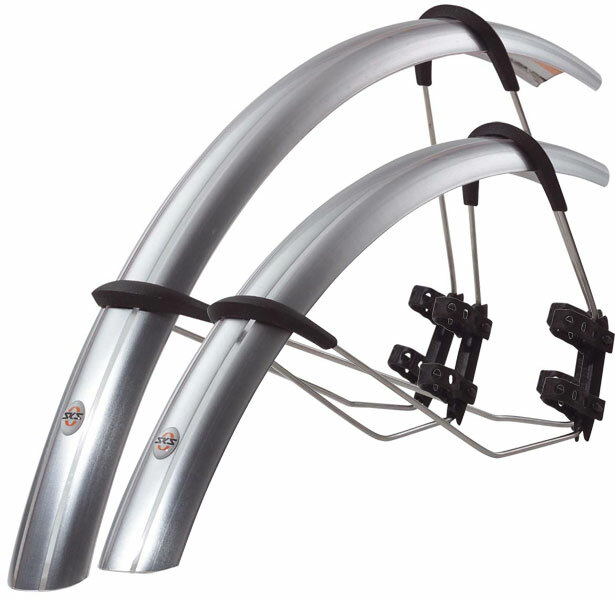 The SKS Raceblade XL Fender set offers full coverage. 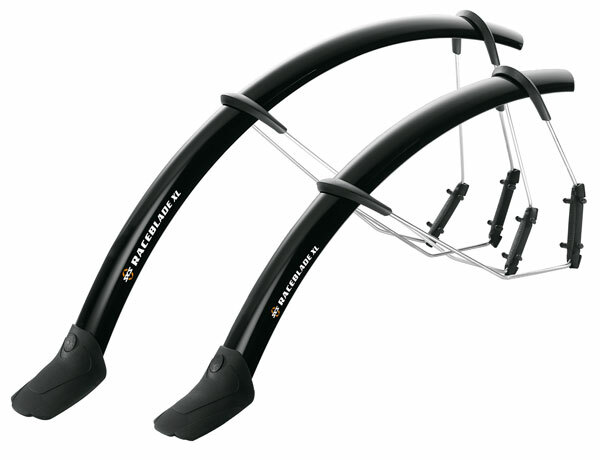 Both of the front and rear fenders easily attach with a quick release mechanism. Very strong, and yet lightweight at only 235 grams. 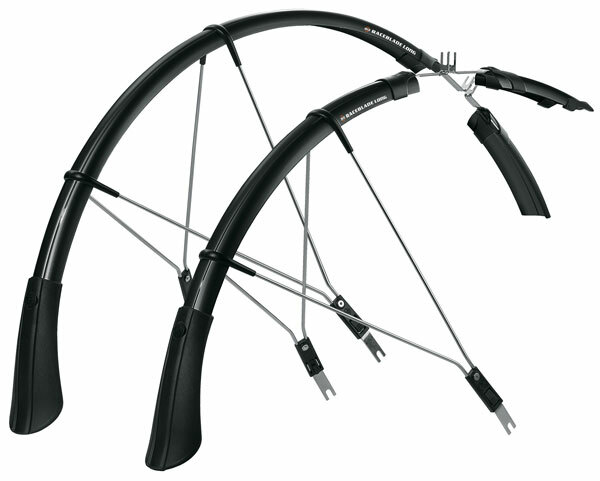 The XL can accommodate up to a 32mm tire. Black in color. Made in Germany.